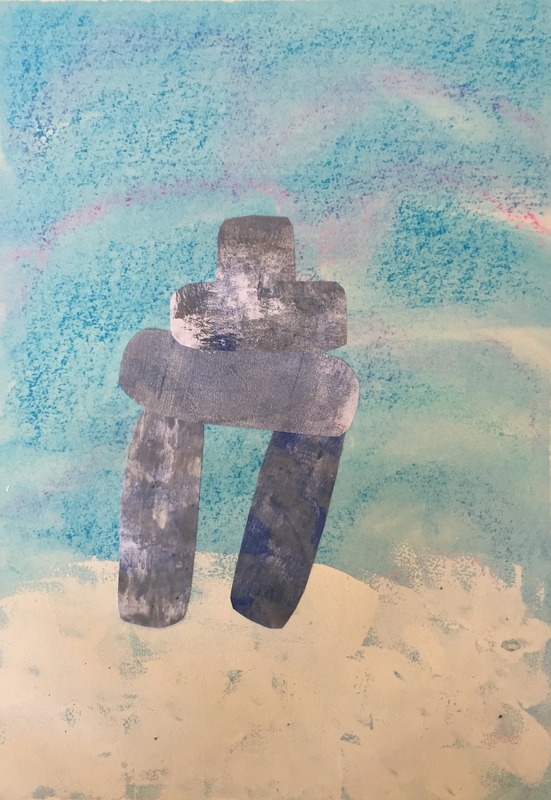 Art in Action visited JK/SK classrooms where students were inspired by legendary Canadian artist Ted Harrison who made his home in the Yukon. 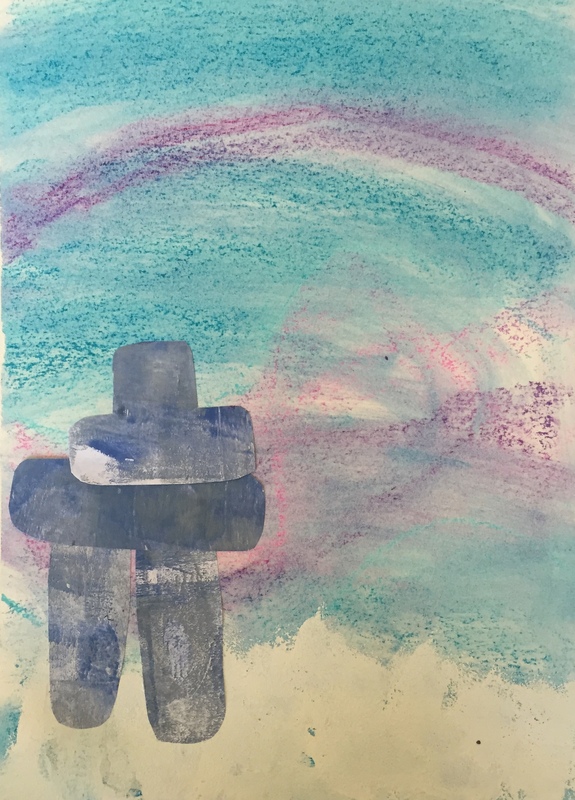 His love of the Canadian North is reflected in his iconic style of horizontal sections made up of brilliant colours. 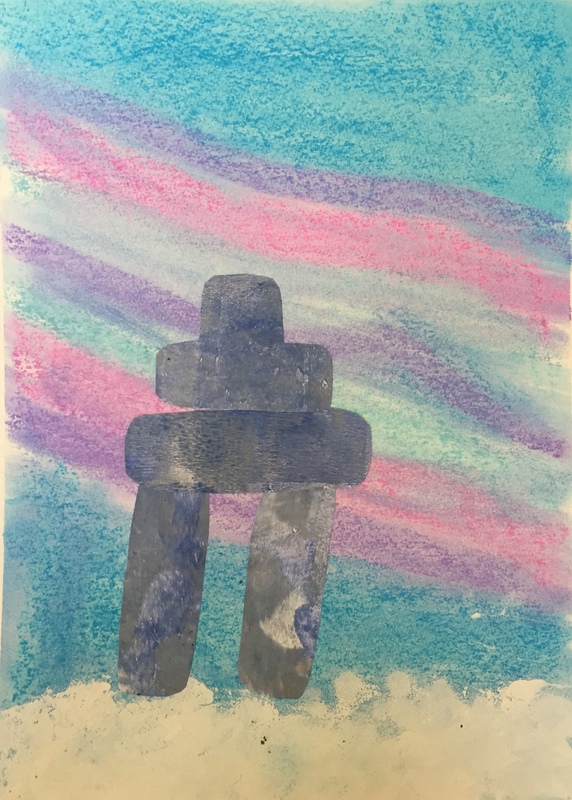 Students also learned about the meaning, symbolism, and use of Inukshuks and worked with a wide variety of chaltek pastels, acrylic paint and collage materials to create their own great works of art in the style of Ted Harrison. 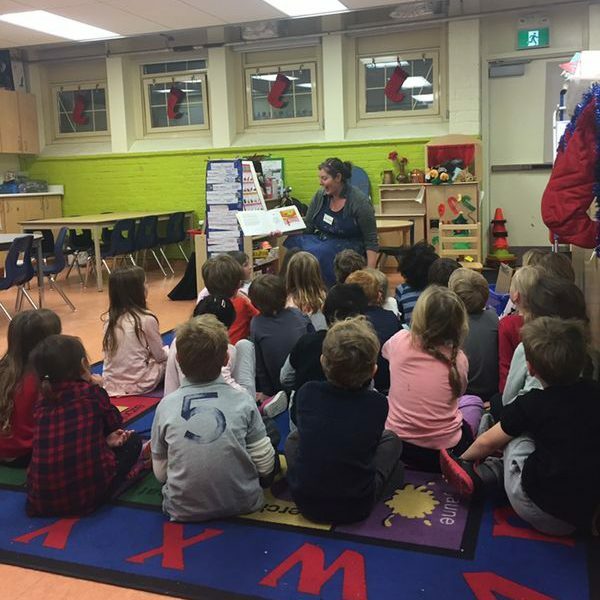 The FDK Arts Enrichment program is funded by Parent Council through your generous direct donations and organized primarily by the Arts Committee parent volunteers. Next Next post: Join Us for Pub Night On Friday March 3rd!